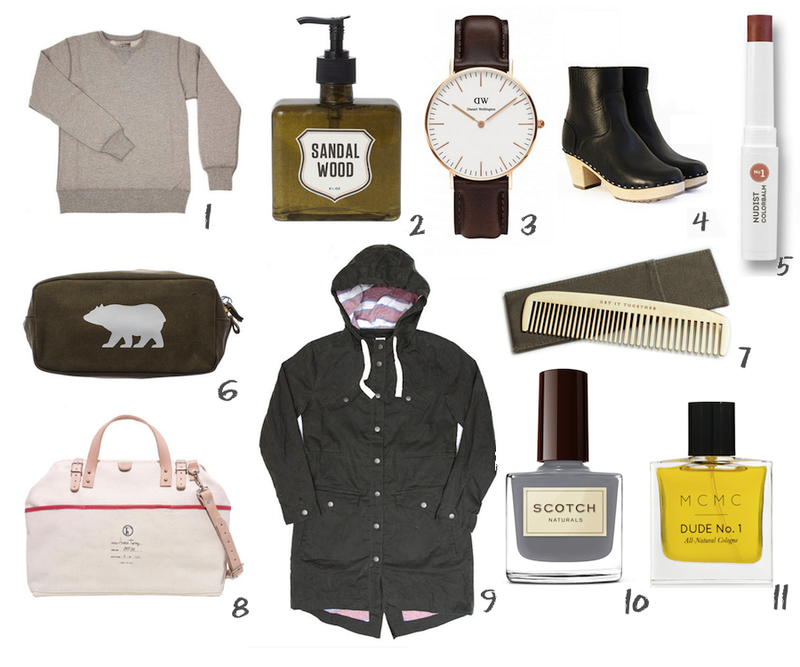 Most years I put together a separate gift guide for the mens and for the ladies, and most years those gift guides end up looking more or less completely identical, I guess because I have such a thing for menswear on the ladies. It's my favorite look on a girl, especially when coupled with an intensely feminine red lip. So this year we're saving time + paper and just going with one gift guide. Knock yourselves out, kids. IZOLA + its sister shop HOOT // For the best stocking stuffers around. BRIDGE & BURN // For some gorgeous Pacific Northwest inspired digs. DANIEL WELLINGTON // For wrist wear you can share with your man friends. 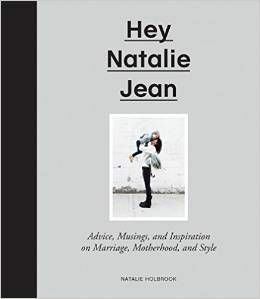 Plus you can get 15% off + free worldwide shipping with the code HOLIDAY_HEYNATALIEJEAN. W A Y W A R D // For the coolest leather accessories (paint splattered pouches!!!). NINA Z // For the kinds of clompy clogs you'll never want to take off. Oh! $245 for a raincoat!! *cringes at cheap closet's contents. a dw watch is also on my christmas wishlist! love all of these selections, though! Majorly love all of these picks! love! and oh, how i feel so much better about my dudely wardrobe! ha!